Published vide Notification No. IRDA/Reg/7/2000, dated 14.7.2000, published in the Gazette of India. 1. Short title and commencement .—(1) These regulations may be called The Insurance Regulatory and Development Authority (General Insurance- Reinsurance) Regulations, 2000. (j) words and expression used and not defined in these regulations but defined in the Insurance Act, 1938 (4 of 1938) or the General Insurance Business Nationalisation Act, 1972 (57 of 1972) or Insurance Regulatory and Development Authority Act, 1999 (41 of 1999), rules made thereunder shall have the meanings respectively assigned to them in those Acts or rules, as the case may be. (d) simplify the administration of business. (2) Every insurer shall maintain the maximum possible retention commensurate with its financial strength and volume of business. The Authority may require an insurer to justify its retention policy and may give such directions as considered necessary in order to ensure that the Indian insurer is not merely fronting for a foreign insurer. (3) Every insurer shall cede such percentage of the sum assured on each policy for different classes of insurance written in India to the Indian reinsurer as may be specified by the Authority in accordance with the provisions of Part IV-A of the Insurance Act, 1938. (4) The reinsurance programme of every insurer shall commence from the beginning of every financial year and every insurer shall submit to the Authority, his reinsurance programmes for the forthcoming year, 45 days before the commencement of the financial year. (5) Within 30 days of the commencement of the financial year, every insurer shall file with the Authority a photocopy of every reinsurance treaty slip and excess of loss cover note in respect of that year together with the list of reinsurers and their shares in the reinsurance arrangement. (6) The Authority may call for further information or explanations in respect of the reinsurance programme of an insurer and may issue such directions, as it considers necessary. (7) Insurers shall place their reinsurance business outside India with only those reinsurers who have over a period of the past five years counting from the year preceding for which the business has to be placed, enjoyed a rating of at least BBB (with Standard & Poor) or equivalent rating of any other international rating agency. 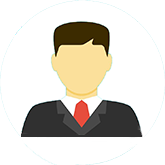 Placements with other reinsurers shall require the approval of the Authority. Insurers may also place reinsurance with Lloyd’s syndicates takings care to limit placements with individual syndicates to such shares as are commensurate with the capacity of the syndicate. (8) The Indian reinsurer shall organise domestic pools for reinsurance surpluses in fire, marine hull and other classes in consultation with all insurers on basis, limits and terms which are fair to all insurers and assist in maintaining the retention of business within India as close to the level achieved for the year 1999-2000 as possible. The arrangements so made shall be submitted to the Authority within three months of these regulations coming into force, for approval. (9) Surplus over and above the domestic reinsurance arrangements class wise can be placed by the insurer independently with any of the reinsurers complying with sub-regulation (7) subject to a limit of 10% of the total reinsurance premium ceded outside India being placed with any one reinsurer. Where it is necessary in respect of specialised insurance to cede a share exceeding such limit to any particular reinsurer the insurer may seek the specific approval of the Authority giving reasons for such cession. (10) Every insurer shall offer an opportunity to other Indian insurers including the Indian reinsurer to participate in its facultative and treaty surpluses before placement of such cessions outside India. (11) The Indian reinsurer shall retrocede at least 50% of the obligatory cessions received by it to the ceding insurers after protecting the portfolio by suitable excess of loss covers. Such retrocession shall be at original terms plus an overriding commission to the Indian reinsurer not exceeding 2.5%. The retrocession to each ceding insurer shall be in proportion to its cessions to the Indian reinsurer. (12) Every insurer shall be required to submit to the Authority statistics relating to its reinsurance transactions in such forms as the Authority may specify, together with its annual accounts. 4. Inward reinsurance business .—Every insurer wanting to write inward reinsurance business shall have a well-defined underwriting policy for underwriting inward reinsurance business. The insurer shall ensure that decisions on acceptance of reinsurance business are made by persons with necessary knowledge and experience. The insurer shall file with the Authority a note on its underwriting policy stating the classes of business, geographical scope, underwriting limits and profit objective. 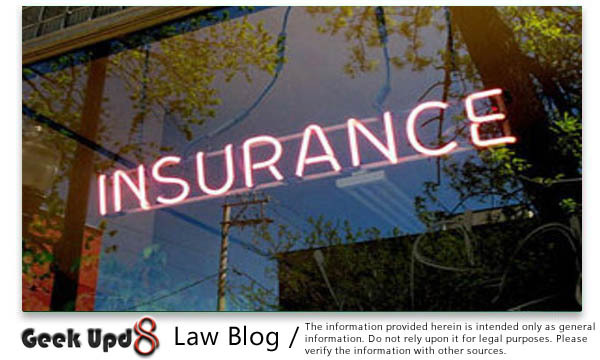 The insurer shall also file any changes to the note as and when a change in underwriting policy is made. 5. Outstanding loss provisioning .—(1) Every insurer shall make outstanding claims provisions for every reinsurance arrangement accepted on the basis of loss information advices received from Brokers/Cedants and where such advices are not received, on an actuarial estimation basis. (2) In addition, every insurer shall make an appropriate provision for incurred but not reported (IBNR) claims on its reinsurance accepted portfolio on actuarial estimation basis.